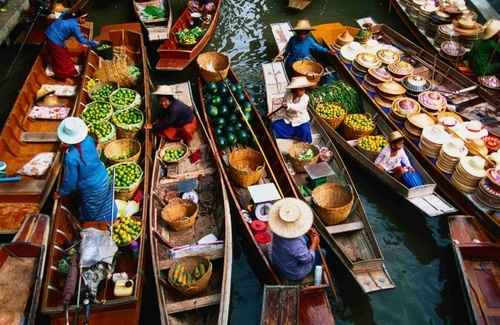 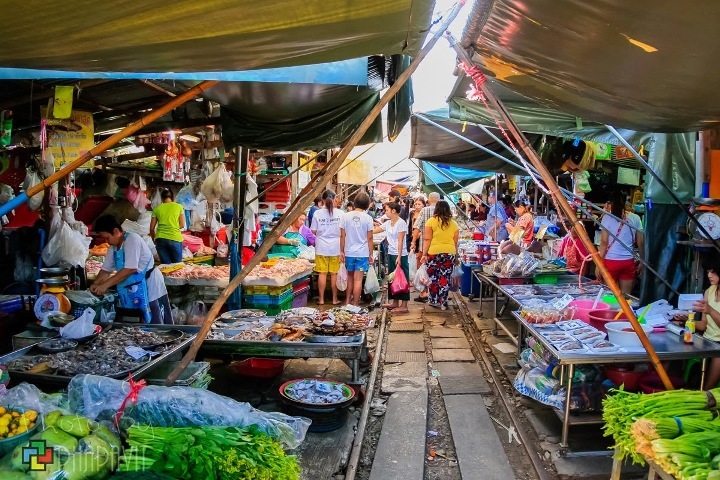 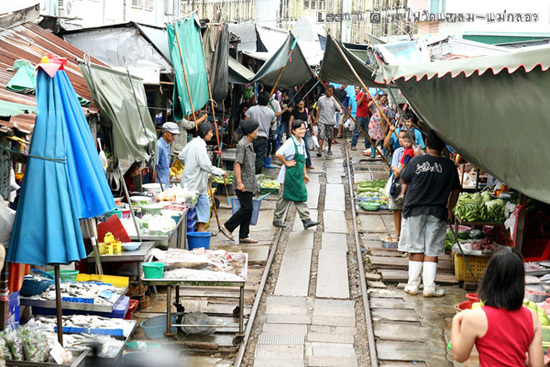 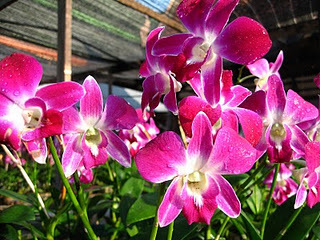 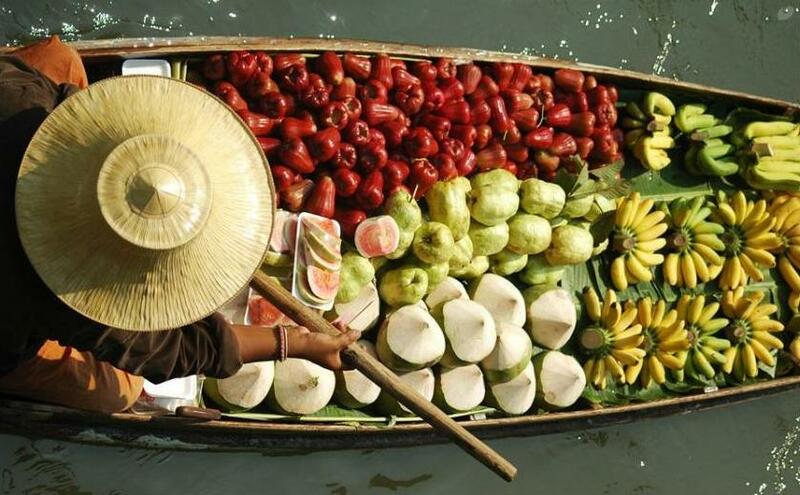 12:30 DEPART FOR RISKY MARKET, A MUST SEE ATTRACTION IN THAILAND. 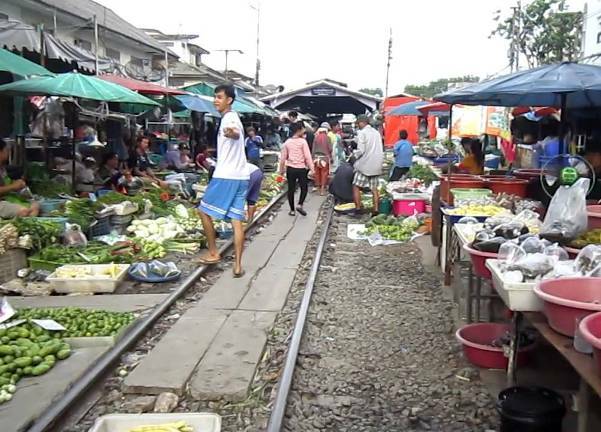 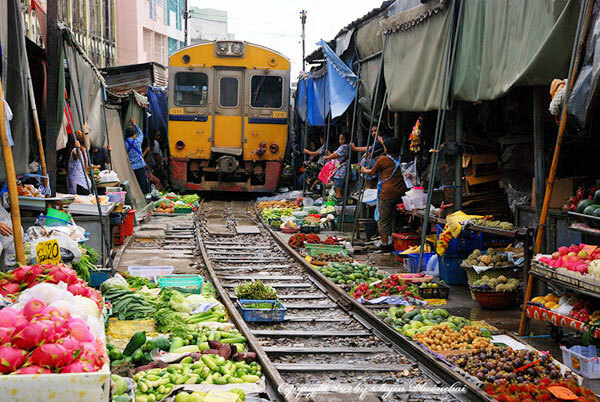 YOU WILL SEE A TRAIN PUSHING THROUGH A BUSY MARKET AND WATCH AS THE SHOPKEEPER PULL THEIR TABLE OF VEGETABLE AND MEAT OUT OF THE WAY. 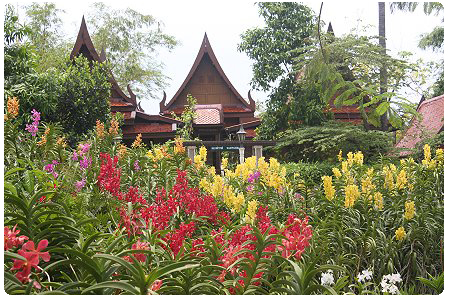 IT IS A UNIQUE AND EXOTIC EXPERIENCE.